My mom has very thick hair and typical low flow shower heads take a very long time to rinse her hair. I decided that I would look online for some high flow shower heads and can't seem to find anything with a flow of more than 2.5GPM. I've seen some where people have commented that they were able to remove a flow restrictor to improve flow, but no one states what the new flow rate would be. 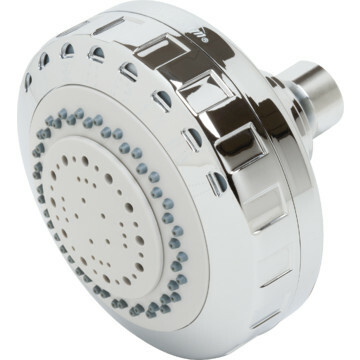 While I would prefer to find a shower head that has a high flow without modification, I would be amenable to one that the restrictor can be removed but would still want to know what the flow rate is once modified. Can anyone provide direction? First as Henry Jackson mentions the low flow shower heads are part of the the water consumption laws passed in the US. I am not sure how the US compares to other countries. I have done construction in France and in Spain and nobody has mentioned this to me and I never really thought about the pressure after installation - if I were to guess they seem to have a lot of pressure. 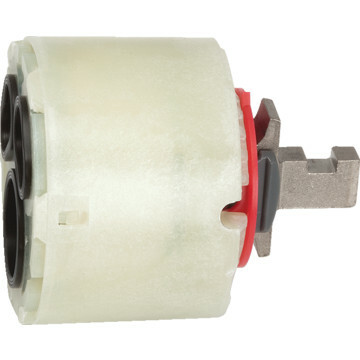 Removing the restrictor (sometimes referred to as the flow control by some manufacturers) is probably the easiest thing to do. Actually let me take it one step further. Given the green restrictor you see in the picture above, I don't want to totally take it out. This is because the depth of the gasket that is over this may not match up well with this out and could be loose. 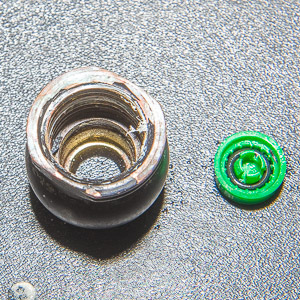 So I like to just remove the center part of the restrictor and put it back in how it was. Boom - half of the shower heads I had issues with are fine after this. The next factor we have to think about is how much water is making its way to the shower valve. The size of the plumbing will determine how much water your shower is getting. Most showers in the US are fed with 1/2" PEX or copper. This should be plenty to get a pretty powerful shower. If you have 3/8" or 1/4" feeding your shower this could cause low flow. But this is usually pretty costly to fix and includes opening bathroom walls. Some people will differ with my take on the 1/2" being enough and say that a shower head needs 3/4" - this is more personal preference but you can get a good shower from 1/2" in my opinion. Then to go along with the amount of water pumped to the shower head another restriction point is the filter of your shower valve shown below. If you have a newer shower valve they will come with on or two filters (hot/cold). These become clogged and restrict water flow. In the picture below there would be a mesh filter under the two smaller gaskets. These can get clogged with mineral deposits or "dirty" water. To clean these you can get a new filter from manufacturer or often you can just soak the screen in vinegar. If the filters are really clogged often they will have damaged the filter mechanism enough that you will have to replace. The next factor is if the head pressurizes the water. 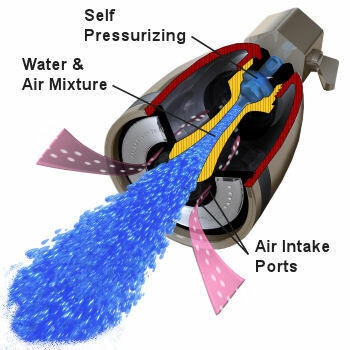 Some manufacturers do a turbine type of effect that pushes out the water faster. Others restrict the water before outputting which increases pressure. Others add air into the mix to create pressure. And others do something else or a combination. This is really "what to buy" thing. I don't want to get buying advice but I have bought these types and have been happy. Read reviews. In the US the low-flow shower heads are mandated by federal law, so it may not be easy to find a non-restricted one. I am not a lawyer but I would think that advertising the un-restricted flow rate would be a subversion of the law and therefore unlikely to be legal. If you want a non-low-flow shower head I would just take the restrictor cap out of any shower, it will probably be fine. Instead of removing the restrictor, I just opened up the center opening a little bit more using a small screw and screw driver. It made a big difference! We are on a well with loads of water, but fairly low pressure, so the water came out as only a few drops, not even a dribble. I took a needle-nosed pliers and popped out the restrictor. Now, it works great! How can I boost the water pressure in my shower? Why does our shower make a screaming noise? What factors need to be considered to get the most powerful shower possible?